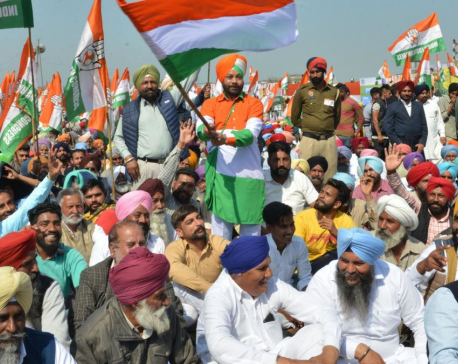 NEW DELHI, April 23: Voting began in the third and largest phase of India’s staggered general election on Tuesday, including in Prime Minister Narendra Modi’s home state of Gujarat and Kerala, where opposition Congress party chief Rahul Gandhi is contesting. 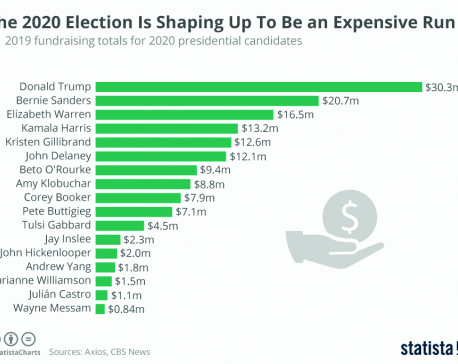 With a crowded field of 17 presidential candidates, candidates raised big numbers for the first quarter of 2019. JAKARTA, April 17: Indonesians began voting in the world’s biggest single-day election on Wednesday as polling stations opened across the sprawling equatorial archipelago following a six-month campaign to choose a new president and parliament. 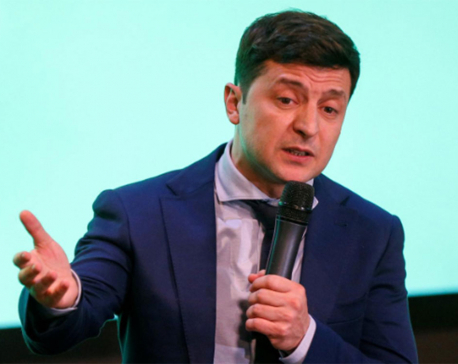 KIEV, April 11: Comic actor Volodymyr Zelenskiy, a political novice who plays a fictional president in a popular TV series, is likely to win in Ukraine’s presidential election race, according to an opinion poll published on Thursday. KATHMANDU, April 11: India's Election Commission has stopped the release of ‘PM Narendra Modi’ until the elections conclude on May 19, the Times of India reported. 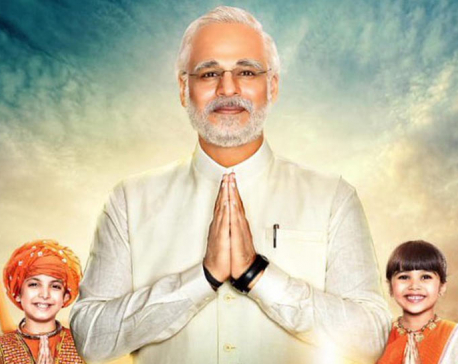 The film was scheduled to be released today -- coinciding the first day of India's general elections. NEW DELHI, April 10: India will hold a general election starting on Thursday in the world’s largest democratic exercise, with Prime Minister Narendra Modi seeking a second straight term. 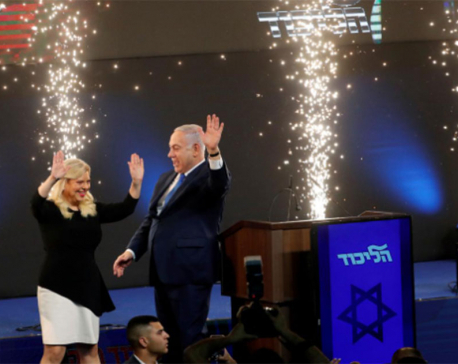 JERUSALEM, April 10: Prime Minister Benjamin Netanyahu has won the Israeli national election, securing a record fifth term in office despite running neck in neck with his challenger Benny Gantz, the country’s three main television channels said on Wednesday. 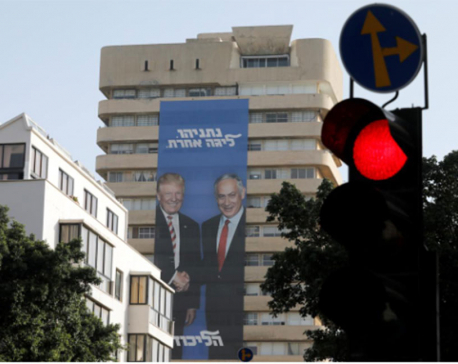 JERUSALEM, April 9: Israelis began voting in an election on Tuesday that could hand conservative Prime Minister Benjamin Netanyahu a record fifth term or see him dethroned by an ex-general who has pledged clean government and social cohesion. KIEV, March 31: The top three contenders in Ukraine’s presidential elections cast their vote on Sunday in a first round which a comedian - who happens to play a fictional president in a popular TV series - is tipped to win. 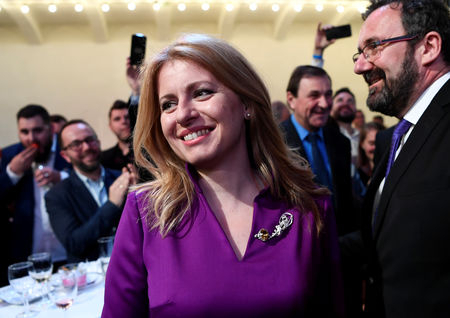 BRATISLAVA, March 31: Riding a wave of public fury over corruption, liberal lawyer Zuzana Caputova won Slovakia’s presidential election on Saturday, bucking a trend that has seen populist, anti-European Union politicians make gains across the continent. 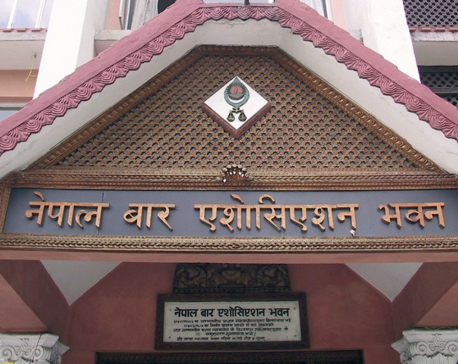 KATHMANDU, March 30: Voting is underway for electing a new leadership of Nepal Bar Association, an umbrella organisation of legal practitioners in the country. 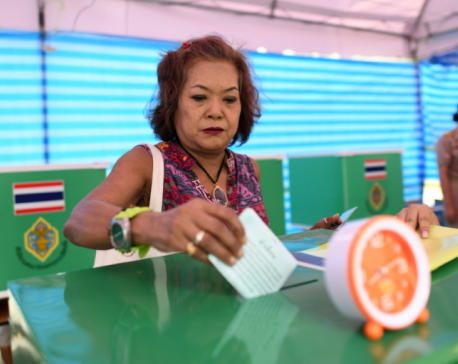 A total of 10,313 voters are taking part in the voting that began at 8:00 in the morning and will run until 4:00 pm today. 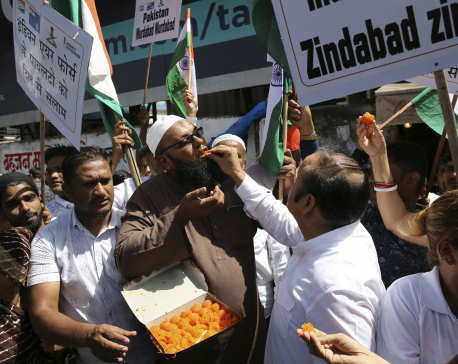 NEW DELHI, March 15: A standoff with nuclear rival Pakistan appears to have given Indian Prime Minister Narendra Modi, head of the Hindu nationalist Bharatiya Janata Party, a boost ahead of national elections set to begin in April. 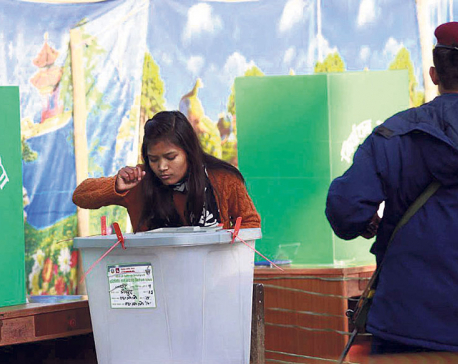 BIRGUNJ, March 14: The country's southern neighbor India is holding Lok Sabha elections in seven phases from April 11 to May 19. NEW DELHI, March 11: India will count ballots on May 23 following six weeks of voting in an election that will determine whether Prime Minister Narendra Modi wins a second term as leader of the world’s largest democracy. 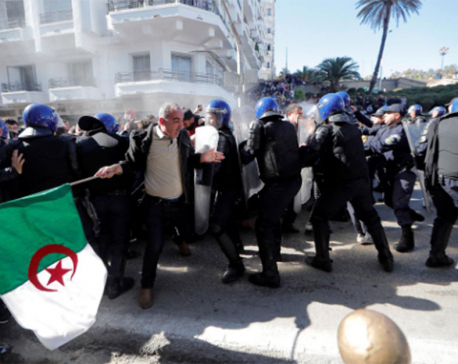 ALGIERS, March 3: A total of 183 people were injured during protests across Algeria on Friday against President Abdelaziz Bouteflika’s bid for election to a fifth term, the state news agency APS said on Saturday, citing the health ministry. KATHMANDU, Feb 19: The Tribhuvan University (TU) has started preparations to hold the elections of the Free Students Unions (FSU) at its colleges. 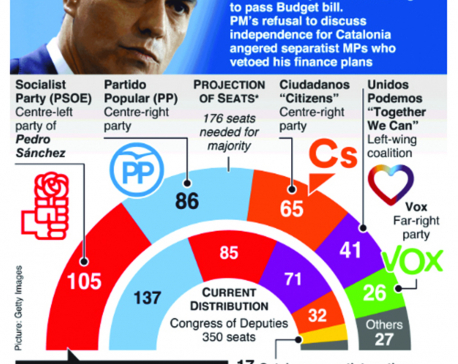 Infographics: What's next for Spain as elections loom? Spain, Eurozone’s fourth-largest economy, is facing more turmoil as Prime Minister Pedro Sánchez calls an election just nine months after taking office. 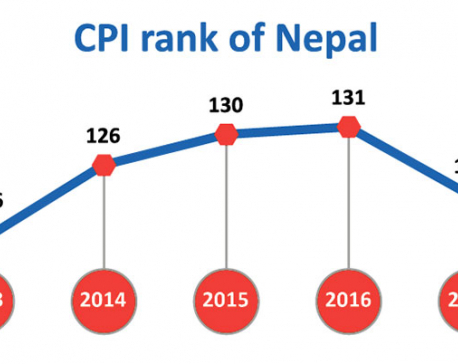 KATHMANDU, Jan 30: Nepal has slipped in the global Corruption Perception Index (CPI) of Transparency International despite the government’s frequent commitments to crack down on graft. 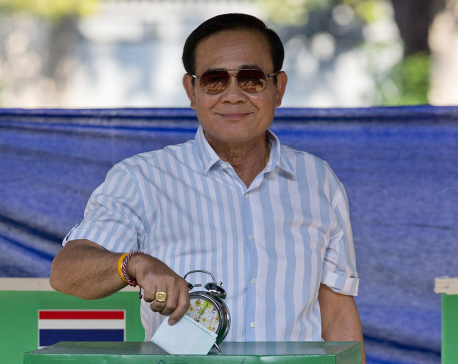 The extent of corruption has worsened at a time when it was expected that the election of governments to federal, provincial and local levels would help reduce this social malaise. 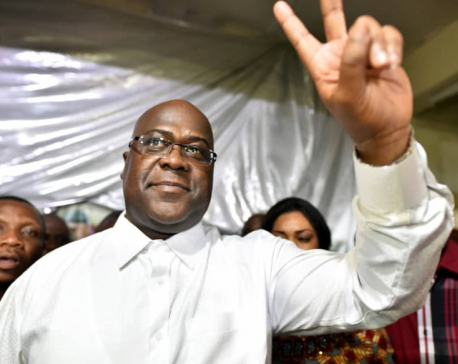 KINSHASA, Jan 20: Congo’s constitutional court confirmed Felix Tshisekedi’s presidential election win on Sunday, dismissing a challenge from another opposition leader who rejected the court’s decision and declared himself president. 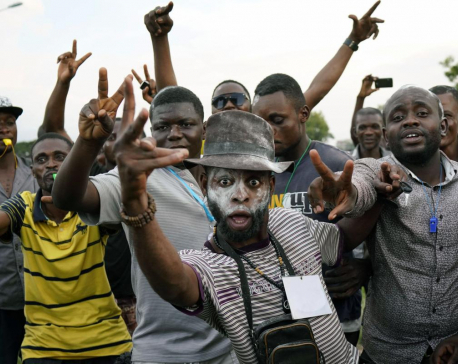 KINSHASA, Jan 10: Congo opposition leader Felix Tshisekedi has won the long-delayed presidential election, the electoral commission announced early Thursday, as the vast country braced for possible protests over alleged rigging. TERHATHUM, Jan 5: The elected local representatives of Terhathum have expedited their visits to various wards and localities in order to brief the locals on the projects implemented in the last one and a half years and to take suggestions for the upcoming projects. 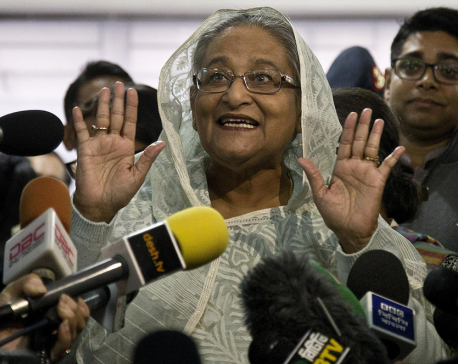 DHAKA, Dec 31: An election official says Bangladesh’s ruling alliance led by Prime Minister Sheikh Hasina has won Sunday’s election with 288 seats giving it enough to form the government. 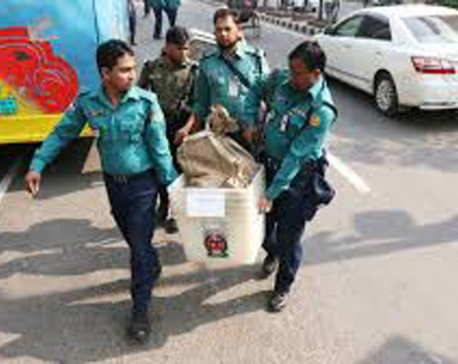 DHAKA, Dec 30 : Clashes between supporters of Bangladesh’s ruling party and its opponents killed two people and wounded nearly a dozen on Sunday, a government official and police said, as the country voted in a general election after violence-plagued campaigns. 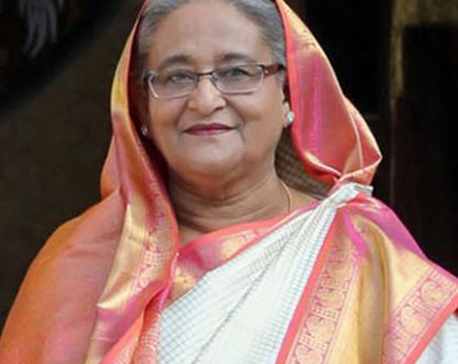 DHAKA, Dec 30 : Bangladesh went to the polls on Sunday after violence-plagued campaigning, with Prime Minister Sheikh Hasina seeking a third straight term in a face-off against an opposition whose leader is in jail on what she says are trumped up charges. 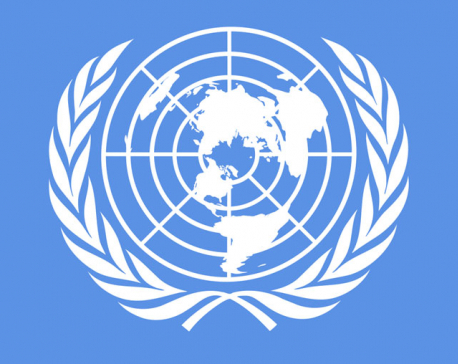 KATHMANDU, Dec 22: Nepal has been elected as a member of the Organizational Committee of the Peace-building Commission (PBC) on Saturday. SINDHULI, Dec 5: Rina Sada defeated her opponents in last year's local elections and became a ward member of Dudhauli Municipality-9. Dedicating herself to public service is not a challenge for her. But she has to deal with a great amount of awkwardness when she has to sign agreements or other documents or even the minutes after each meeting at the ward. As she can't write her signature, she has to rely on a thumb impression. Politics is fleeting. Politics is immediate—reactionary. Marred by petty squabbles, election cycles, and publicity tactics, it compels one to be emotional because it begets high stakes—high, real-life stakes that have important consequences. 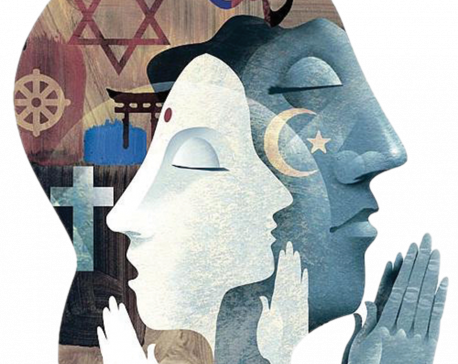 What we fail to understand—what is, therefore, impossible to separate—is that politics and governance should remain independent. Governance, not government. 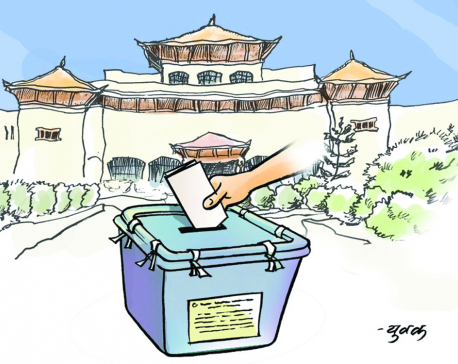 JAJARKOT, Nov 17: There is a long-list of political leaders who have completely ignored their election promises after winning. 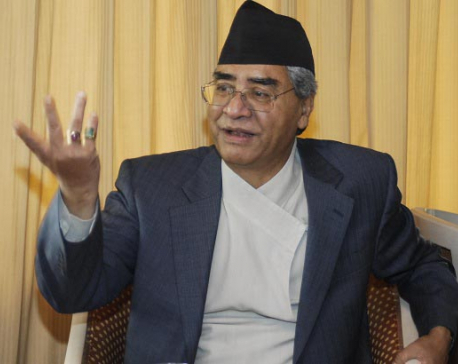 In fact, only a few leaders in the history of democratic Nepal have delivered on their election promises. 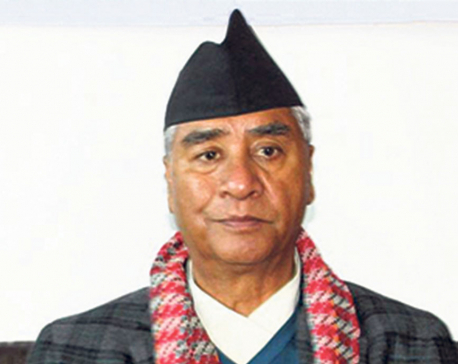 BHAKTAPUR, Nov 9: Nepali Congress president Sher Bahadur Deuba has said his party had to face defeat in the elections due to the internal squabbling. 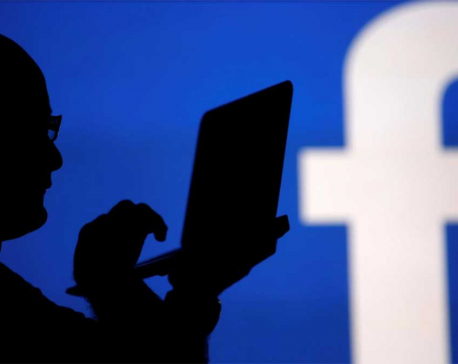 SAN FRANCISCO, Nov 6: Facebook Inc blocked about 115 user accounts after U.S. authorities tipped it off to suspicious behavior that may be linked to a foreign entity, the company said in a blog post on Monday, hours before U.S. voters head to the polls. BETRAWATI, Oct 21: Mayor of Bidur municipality Sanju Pandit has provided Rs 30 thousand to visually impaired Krishna Bahadur Nepali of Lamatar, Bidur municipality-9 as promised during the election campaign. 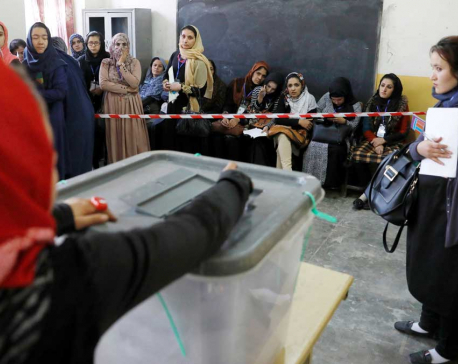 KABUL, Oct 20: Afghans voted on Saturday in parliamentary elections overshadowed by chaotic organization, allegations of corruption and violence that have forced a postponement of the vote in the strategic southern province of Kandahar. BRASILIA, Oct 20: Facebook Inc’s (FB.O) WhatsApp messaging service became the frontline in Brazil’s bitter presidential campaign on Friday, as front-runner Jair Bolsonaro angrily denied accusations he had encouraged widespread misinformation campaigns on the platform. MENLO PARK, Oct 19: In an otherwise innocuous part of Facebook’s expansive Silicon Valley campus, a locked door bears a taped-on sign that reads “War Room.” Behind the door lies a nerve center the social network has set up to combat fake accounts and bogus news stories ahead of upcoming elections. 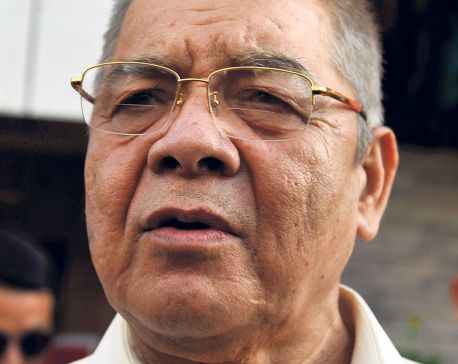 KATHMANDU, Oct 12: Following a rift within the party and a red signal from Prime Minister KP Oli, senior Nepal Communist Party (NCP) leader Bamdev Gautam has decided to back away from his decision to contest a by-election from Kathmandu-7, according to aides. 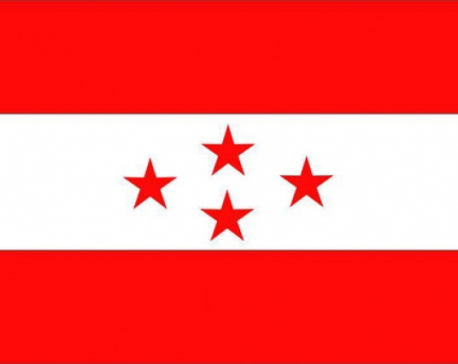 KATHMANDU, Oct 11: The main opposition Nepali Congress (NC), has said that preparations by the Nepal Communist Party (NCP) to hold by-election in Kathmandu constituency 7 in a bid to elect defeated candidate Bamdev Gautam will invite political instability. 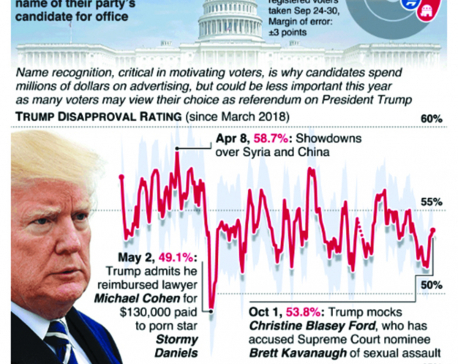 Just weeks before midterm elections for control of the U.S. Congress, a third of voters do not know the name of their party’s candidate for office. A new poll finds 34 percent of Republican voters and 32.5 percent of Democratic voters do not know the names of the party’s congressional candidates in their districts. 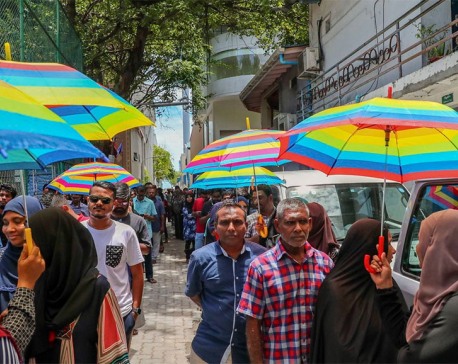 NEW DELHI, Sept 24: The opposition candidate declared victory on Sunday in the presidential election in the Maldives, an unexpected blow to the country’s authoritarian leader, who had made a bid to consolidate power by jailing opponents and overruling the judiciary. 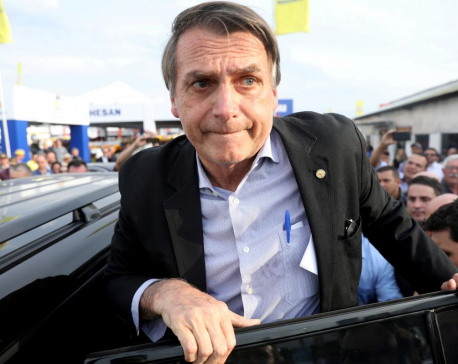 BRAZIL, Sept 9: The sons of seriously wounded right-wing Brazilian presidential candidate Jair Bolsonaro — who was in hospital Saturday after his campaign trail assault — said he was making progress, as they took his campaign reins. 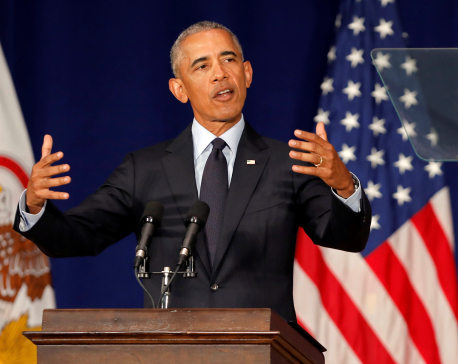 Former U.S. President Barack Obama assailed President Donald Trump and Republicans on Friday, urging Democrats to deliver a check on the administration’s “abuses of power” and restore a sense of sanity to politics by voting in November’s elections. 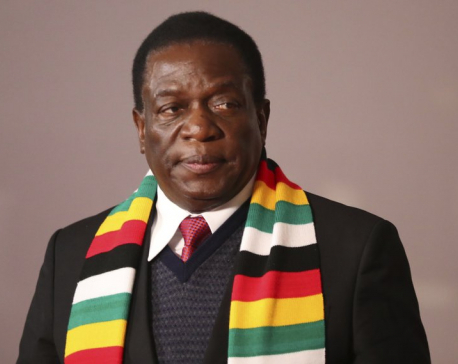 HARARE, Aug 27: Emmerson Mnangagwa was officially sworn in as president of Zimbabwe on Sunday after winning a bitterly contested election that marked the country's first vote since strongman Robert Mugabe was ousted from power. 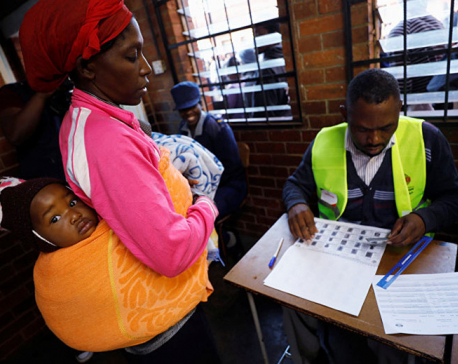 HARARE, Aug 3: Zimbabwe’s President Emmerson Mnangagwa won election Friday with just over 50 percent of the ballots as the ruling party maintained control of the government in the first vote since the fall of longtime leader Robert Mugabe. 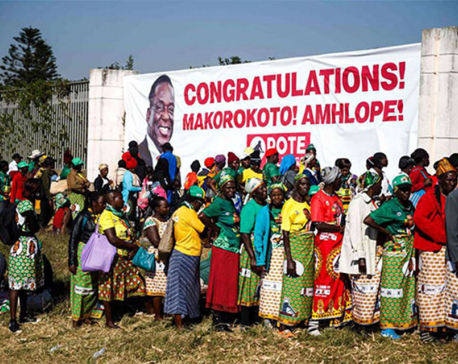 HARARE, July 31: Zimbabwean opposition leader and presidential hopeful Nelson Chamisa announced his victory in the country's presidential election on Monday. 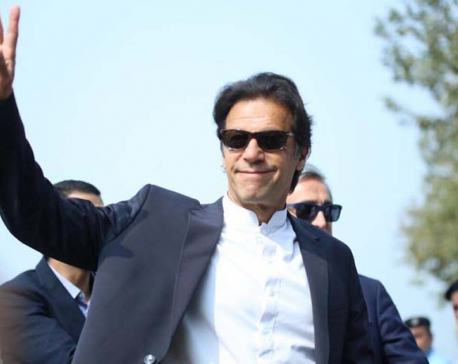 ISLAMABAD, Pakistan’s cricket star turned politician Imran Khan declared victory Thursday for his party in the country’s general elections, promising a “new” Pakistan following a vote that was marred by allegations of fraud and militant violence. BRAZIL, July 26: Facebook on Wednesday took down a network of pages and accounts used to spread fake news by members of a right-wing Brazilian activist group, sources told Reuters, as part of a crackdown ahead of an election in October.